It's that time of the year again! Christmas is coming up and if you're like me (and my mom) you have no idea what to give to your family as a gift. I feel like we always have a harder time choosing stuff for the women in our family than for the men (which is kinda bad because y family is about 80% women). There is a much larger range of gifts you can give to a girl/woman than to a man, which makes the whole gift buying situation easier. because there's a large range of things you can choose from,but at the same time hard, because there's a large range of things you can choose from! , I decided to do a little gift guide, in hopes that it might help on of you. ASOS Only Geena Knit Jumper - What a better piece of clothing to give someone at this time of the year then a jumper! It has been so cold outside lately and everyone likes to feel warm and I feel like a jumper does the trick. This ASOS jumper is a great piece to give anyone at any age. It's a simple yet sophisticated jumper, that doesn't feel heavy and bulky. 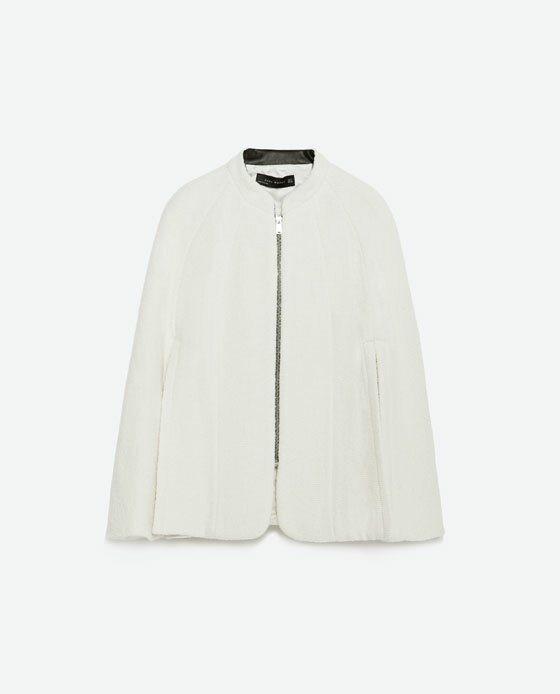 Zara Structured Cape - I am a sucker for capes, I have to admit it. I think they're a great twist on winter coats and are amazing if you just want to dress up in layers. This Zara Cape has a color and fabric that reminds me a lot of snow, so I believe this is a perfect piece for this time of the year. 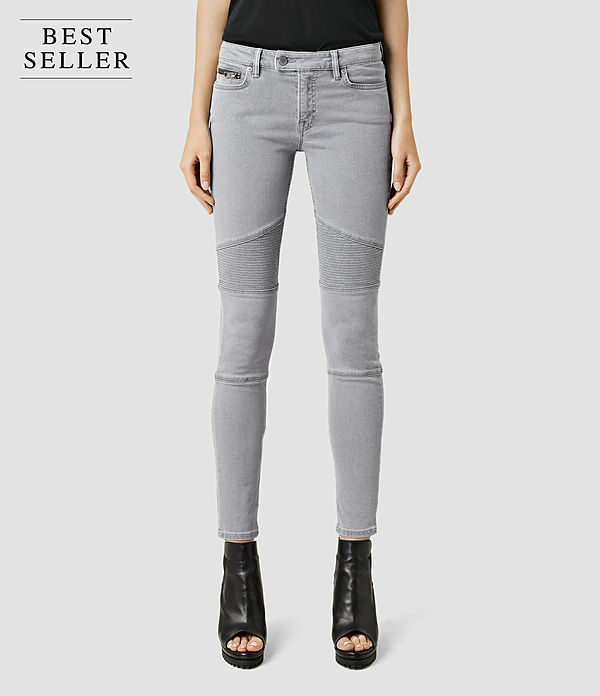 AllSaints Bicker Light Grey Jeans - Jeans are a wardrobe staple, everybody knows that. But why not change things up a little? People normally buy blue or black jeans and don't stray far away from that, but I think grey jeans are a great piece of clothing to have on your wardrobe. These AllSaints jeans have bicker detaisl on the, which makes them more interesting. ASOS PROP Lace-up Pointed High Heels - Lace-ups are trend in every piece of clothing. You see it in shirts, you see it in pants and you see it in shoes. This pair is a great one for going out or just wear it to work and spice up your outfit. Public Desire's Joy Over The Knee Boots - They are the IT shoe this season. Everywhere we go, we see girls wearing over the knee boots. They are a huge and amazing trend that can suit anyone. This pair is form Public Desire and are just like the Stuart Weitzman Lowlands but much much (MUCH) cheaper. 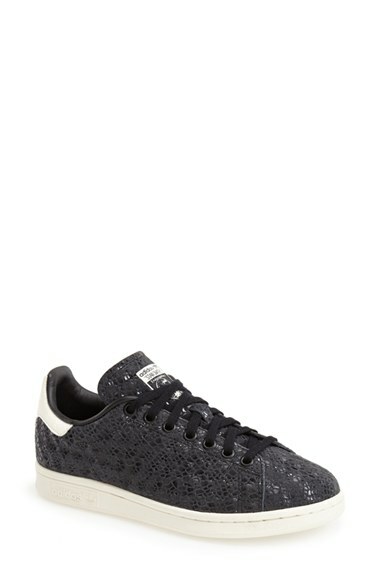 Adidas Stan Smith Sneakers - These sneakers are, again, a huge trend. They are very stylish and comfortable so I understand why everyone buys them. They are a great choice to give someone who is always on the go and walking around, as they are super duper comfortable and easy to style. 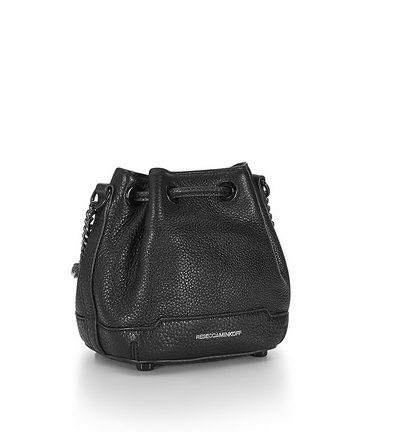 Rebecca Minkoff Micro Lexi Holiday Bucket Bag - A black bag is something every girl should have on their wardrobe. It's a very versatile and stylish piece that can be worn all year round. This Rebecca Minkoff Bucket Bag is a tiny bit expensive but it's something that it will be used a lot and for a long long time. 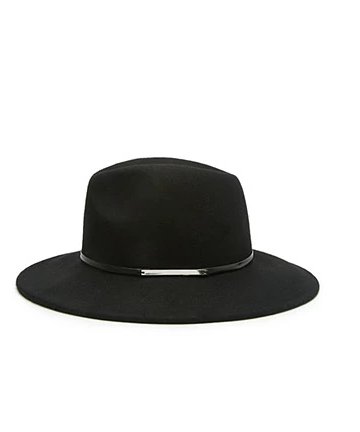 Forever 21 Small-Brim Wool Fedora - I love, love, love fedoras. It's an obsession of mine. I think they really elevate an outfit: a fedora makes a simple outfit go from 'wam' to 'BAM'! There are loads of different types of fedoras in all sorts of colors. If you're thinking of buying someone a fedora, I'd say go for a black or camel one: these colors will go with everything. 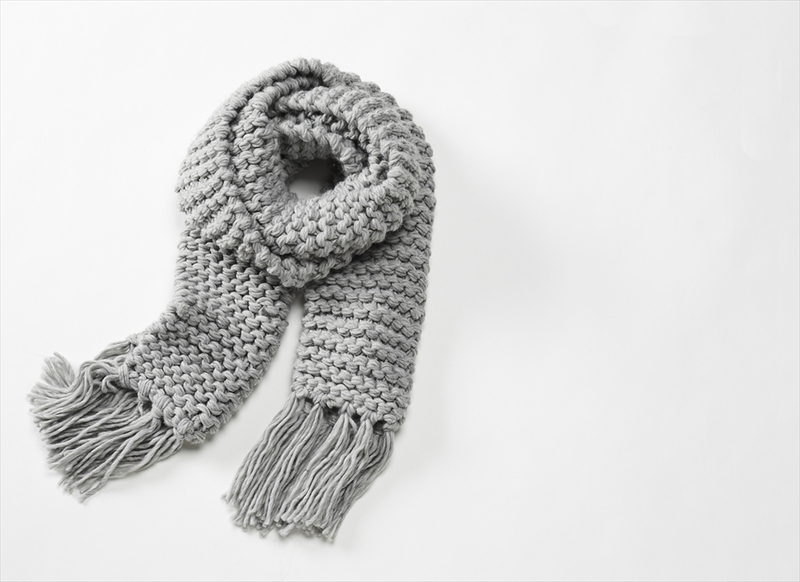 Garage Clothing Chunky Knit Scarf - Who doesn't love a huge and warm scarf to wear on really cold days? Well, I love them and I think scarves are a lovely gift to give to anyone. This one is grey (which I love) and is made of a really fluffy and soft material. It's a win in my book! 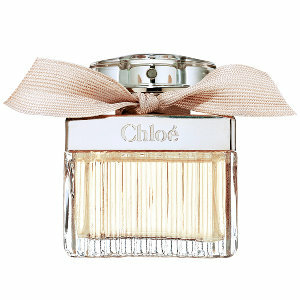 Chloé Eau de Parfum- Perfumes are something probably everyone has received on Christmas at least once in their life. I have actually asked my aunt to give me this Chloé perfume this Christmas, because: 1- it smells amazing and 2- the bottle is beautiful. 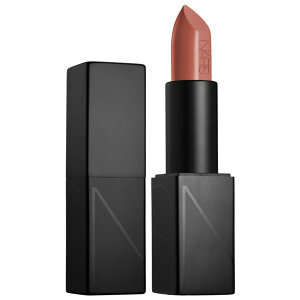 Nars Audacious Lipstick - I think lipsticks are a really cute present. I don't know why!I love the color of this lipstick and I'm in love with the packaging. I think, even though it's a bit pricey, this lipstick is a great gift for make-up addicts like me. Urban Decay Naked 3 Palette - I love the Naked Palettes. I got one for Christmas two years ago and if it wasn't for my One Direction tickets (haha), I would have had considered it my favorite gift that year. It's a great gift, again, for make-up addicts. I love the amount of colors this palette has and, as the eyeshadows are super pigmented, this will last forever!